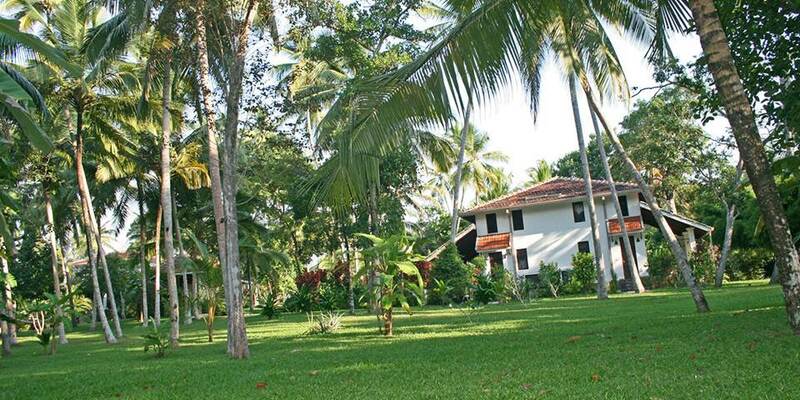 Located on Sri Lankas’s south coast about a mile inland from Thalpe is the small village of Mihireppena; it is here set in 3 acres of lush tranquil gardens that The Why House can be found. A beautiful property built in the style typical of the south, with shaded verandas, courtyards and high timber roofs. Delicious meals can be eaten in the Garden Pavilion, by the poolside or on a private veranda, with three chefs on hand to create delicious Sri Lankan and international cuisine. Thai, Chinese and Malay dishes are also on offer alongside local delicacies. Those with a sweet tooth are well catered for as The Why House is known for their breads, cakes and pastries. The chefs are also more than happy to share recipes with any guest keen to learn cookery. 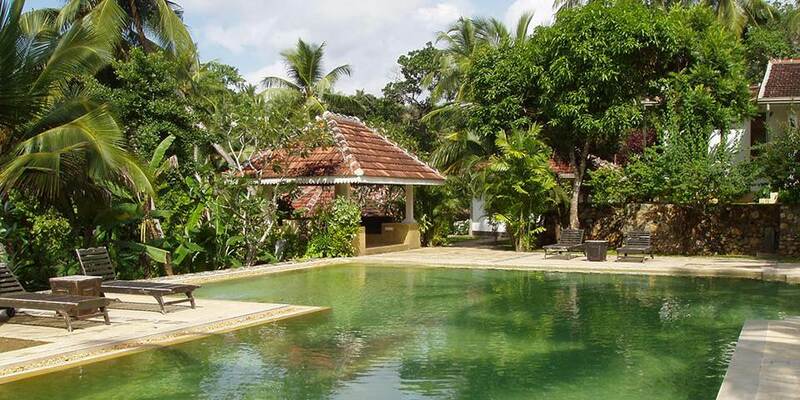 Explore the local village with its boutiques and temple or take the 10 minute walk to the lovely beach at Thalpe to enjoy swimming and surfing. Perhaps be lucky enough to experience a sighting of sperm whales or spinner dolphins as they migrate between the Bay of Bengal and the Arabian Sea. The Why House is essentially a place to relax and unwind either on the veranda or by the pool; the pace of life is slow, with Aromatherapy or Ayurveda massages adding to the overall feeling of calm. The 8 bedrooms are divided between three different buildings. The Main House; which is closer to the swimming pool has three double rooms, each with a four poster bed and private verandas overlooking the gardens. 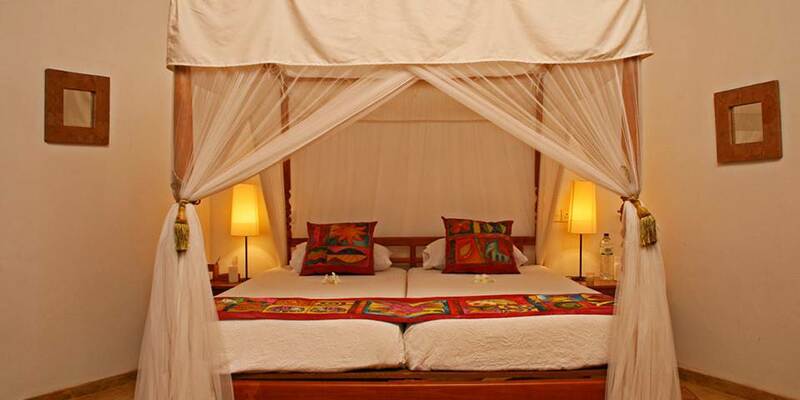 Three more double rooms can be found in the Garden Villa; these with king size beds and again have private verandas. 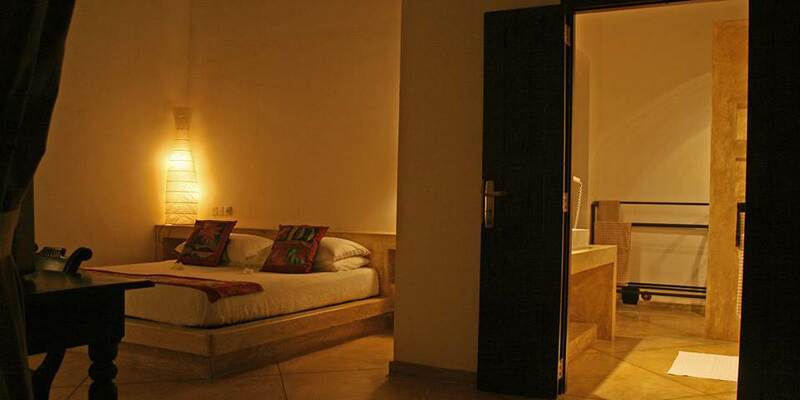 At the edge of the property are two cottages, bedrooms are more compact but have a spa bathroom and are ideal for those such as honeymooners who seek extra seclusion. The interiors are beautifully furnished in vibrant colours, antique furniture and photographs of old Ceylon.